Superdry men’s Vortex hoodie. 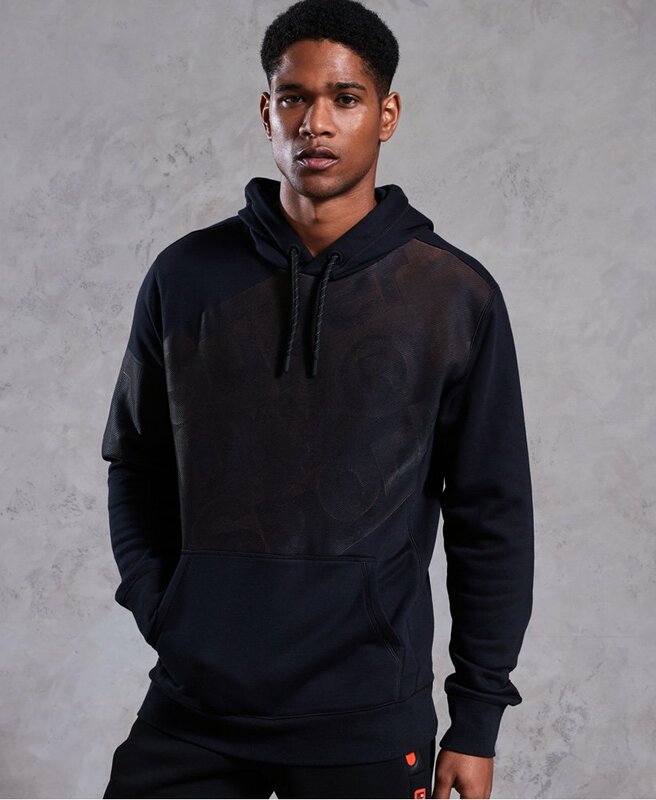 An overhead hoodie, featuring an adjustable drawstring hood, a front pouch pocket and a ribbed design on the front and sleeve, with a subtle Superdry Sport logo. The Vortex hoodie is finished off with a rubber Superdry Sport logo on the sleeve. Made from cool, dry and light material with thermal properties, this hoodie is a workout necessity.